The number of babies born in the United States has hit a 40-year low, according to figures published by the Centers for Disease Control and Prevention (CDC). Provisional 2017 estimates reveal that around 3.8 million babies were born in the U.S. in 2017, a fertility rate of 1.76 births per woman. This is a 2% drop from 2016 - marking the largest single-year drop in the U.S. birth rate since 2010, and is significantly lower than the 4.31 million babies born in 2007 when the fertility rate was 2.08 births per woman. When the data is restricted to women aged 15 - 44, there were around 60 births per 1,000 mothers - a 3% drop from 2016, and the lowest record rate since the government began keeping track in 1909. 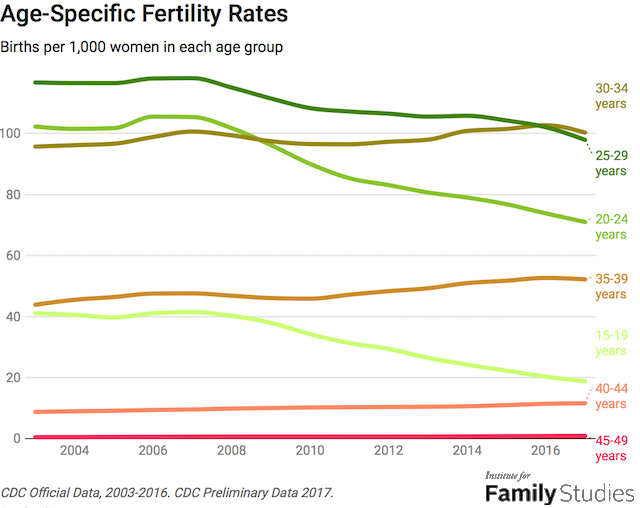 Since 2007, fertility has fallen the most for the youngest women, but in the last year, declines have set in for women in their 30s as well. 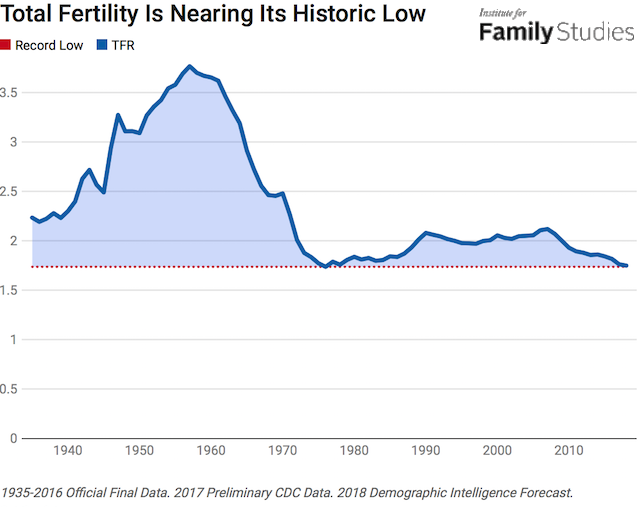 Fertility declines increasingly seem to be about much more than just postponed fertility, or else these women must be planning to have some very fertile 40s. The teen birth rate fell 7% from 2016-2017, down to 19 births per 1,000 teen mothers aged 15-19 - while the birth rate for women under 40 generally declined to record lows. When looking at fertility by race, the decline has hit minorities particularly hard vs. non-Hispanic whites. 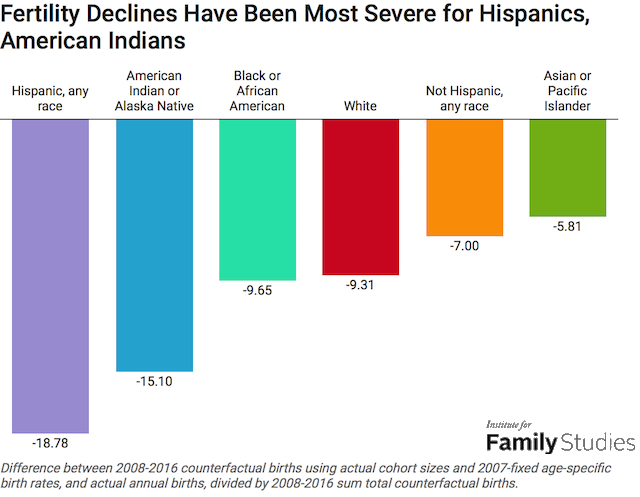 the decline in fertility has been far greater among minorities than among non-Hispanic whites. African American births are down 9.6%, or around 700,00 babies - which is only slightly worse than whites, who are down 9.3%, or around 3.2 million births. "Black fertility declined from 2.15 births per woman to 1.89, while white fertility fell from 2.14 to 1.82," reads IFR's analysis, while "Asians experienced a less severe decline, but their fertility was somewhat lower to start with." The fertility rate among whites is a bit misleading, admits IFR, as it includes most Hispanics - who have historically higher birth rates than non-Hispanic whites. When looking at Hispanics as a whole, the birth rate between 2008-2016 has declined nearly 19%. 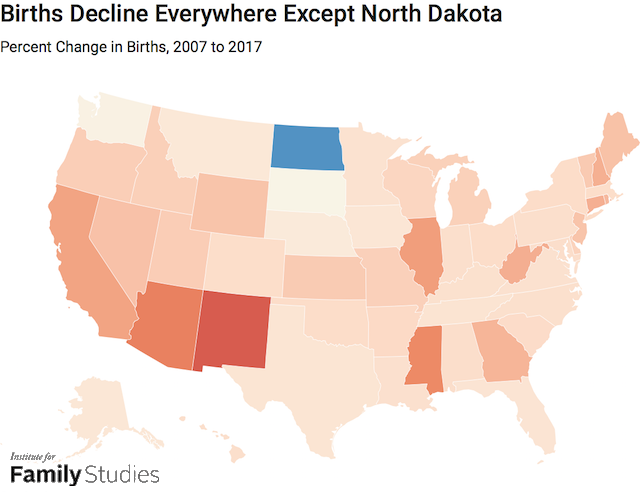 While birth rates in most states have declined, North Dakota has experienced an increase in births. 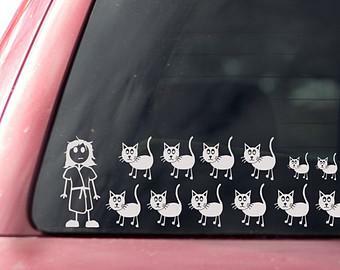 On the other hand, residents of Arizona don't seem to feel the need to breed - where fertility rates have fallen from 2.47 births per woman in 2007 to an estimated 1.81 last year. In terms of education, the drop in fertility rates have been higher for less educated woman vs. their more educated peers. As IFR notes, "Age-adjusted fertility has fallen 15% for women with a bachelor’s degree or less, versus just 7% for women with graduate degrees. On the whole, births to women with no bachelor’s have totaled 12% below what would be expected if 2007 fertility rates had continued, yielding 3.1 million missing births, while births to women with a bachelor’s degree are down 10% for 1.1 million missing births, and births to women with a graduate degree are down just 7%, or 300,000." 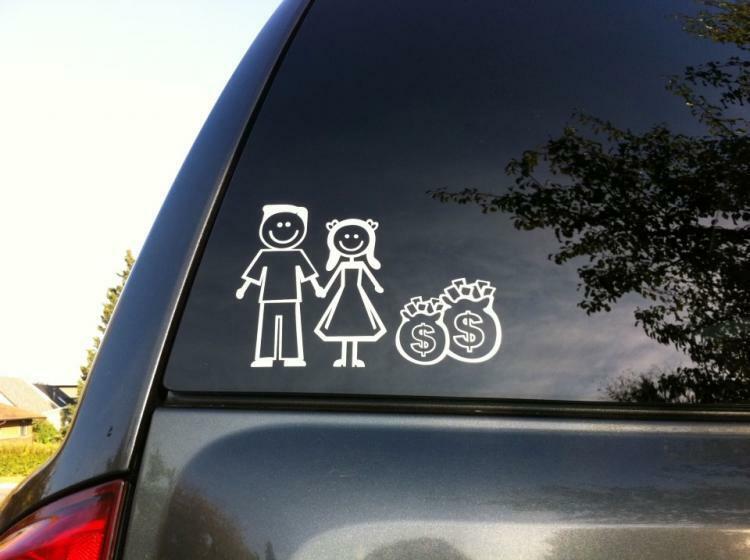 The takeaway is that class is not the biggest factor in declining fertility rates. Instead, race, ethnicity, marital status and geography appear to have far more relevance.